Organising events and parties is famously stressful so it's great to get local recommendations for entertainers that can help your child's big day go smoothly. “I highly recommend�Bolinja�to all Local Mums. They made the arrangements for my daughter's birthday party so smooth; they were great at responding to my emails in such a reassuring way. I could not have wished to have given my daughter a better party; having Rapunzel there was her dream come true. Rapunzel was superb at keeping the children entertained with party games which were great for both girls and BOYS! Great choice of music too. I received lots of positive comments from other parents. I would not hesitate to recommend Bolinja." We host a run of entertainment that fills the hours including parachute games, adventures, make-a-wish, pass the parcel, musical games, ballon modelling and of course a present for the birthday girl! So sit back…and relax! Above all we’re a refreshing approach to children’s entertainment and pride ourselves on being active, creative and entertaining. 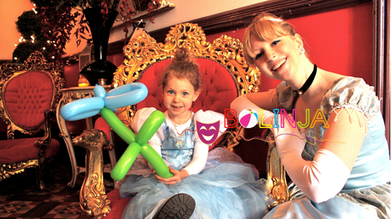 Thanks to our reputation for active, creative and entertaining party plans for children and our ability to engage and occupy so many children for hours we created Bolinja's Princess Club for an extra special visit! 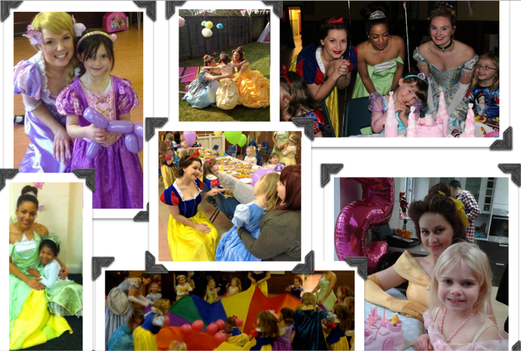 Your little princesses can enjoy a really fun morning or afternoon during the half term with their friends, or making new friends! Drop them and their friends off with us and go enjoy coffee with the other mummies locally or enjoy Reigate's shopping centre (Belfry Shopping Centre) only 15 minutes away! If you'd rather wait and watch your child that's absolutely fine and there will be seating and refreshments provided.